ISLAMABAD (92 News) – Chief of Army Staff (COAS) General Raheel Sharif on Thursday said Pakistan’s armed forces are fully capable of giving a befitting reply to all forms of aggression. Talking to journalists in after the the joint session of Parliament, the army chief said that there is no need to fear India. “Don’t worry about anything what India says,” he said. Asked about the country’s law and order situation, the chief said that the country’s law and order situation is improving day by day. 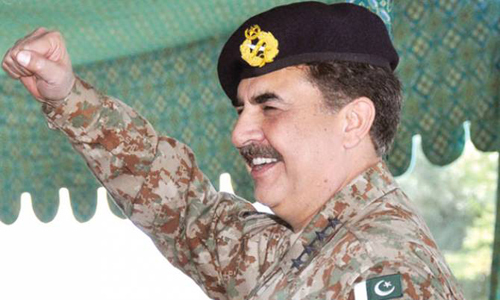 Earlier on Wednesday, General Raheel Sharif remarked that Kashmir and Pakistan are inseparable.